Membership Involvement is a vital part of the sustainment and growth of an organization. Within NABA Orlando, we have several committees that our membership can join to create a positive impact on the individuals we serve. Below is the listing and description of those committees. When you are interested in becoming an active member of the chapter, email us at [email protected] to get plugged in! Accounting Career Awareness Program (ACAP) Committee: To plan for a one week residency program for high school students that will increase understanding of accounting and business career opportunities. The one week program will give students opportunity to attend classes on careers in accounting and business, personal development and college preparation; tour college campuses, local companies and CPA firms. Community Partnerships: Build and maintain relationships with professional organizations, community chambers, and small businesses to serve the community with accounting, finance, and tax services. Works very closely and in tandem with the Community Initiatives Committee. Conduct the nomination process and certify persons as qualified candidates to run for an officer position, in accordance with the provisions of the Bylaws. Establish appropriate controls and procedures for conducting elections in accordance with the provisions of the By-laws. Prepare in appropriate form a complete ballot containing the names of all persons certified to seek office to the Executive Board. Collect and count the executed ballots. Certify and record the results of the elections (majority votes cast). Report the certified election results to the executive board. Finance: Assist the Treasurer in establishing and adhering to the investment goals of the chapter; and monitoring the investments of the Chapter on an on-going basis. Devise ways and means to augment our contributions to charitable organizations, community service and scholarship funds. Membership: Actively recruit new members, reclaim former members, and encourage member participation in Chapter activities. Coordinate membership receptions and member services. Collect annual dues and membership applications. Maintain a current directory of the Chapter’s membership. 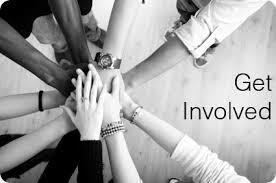 Plan and organize other social/networking events to build camaraderie among the membership. Professional Development: To aid in the members’ professional development by introducing them to a wide variety of technical and non-technical business topics for CPE credit; promote minority participation in accounting careers; and provide informative seminars to help make members marketable in the accounting industry. Resource Development: Implement resource development plan to fund the chapter’s annual operation and program cost and establish long-term relationships with current and prospective corporate and community partners. Committee works with Finance Committee to establish the chapter’s program and operational needs. Social Chair: Develop comradery amongst members by creating experiences that allow members to network and engage in fun activities. Works closely with the Director of Membership to coordinate events and member participation. Student Member Services: Act as liaison between professional and student chapters. Coordinate activities with the local student chapters under the Chapter’s supervision. Encourage and assist students entering the accounting profession. Recruit students to join the professional chapter upon graduation. Plan and coordinate the distribution of scholarship applications to potential candidates. Receive and review scholarship applications and present recommendation for scholarship recipient to chapter. Volunteer Income Tax Assistance Program: Prepare tax returns for low income families free of charge during the tax season. Coordinate with the host location to reserve the dates and times for the VITA Site for the upcoming tax season. Training is held where volunteers become IRS Certified to prepare taxes. VITA Chair or Co-chair is present on site each day to review and provide support to the volunteers. Webmaster: Work closely with the Communications Team to updating the events calendar, resources and tools, and information in a timely manner. Maintain the site functionality and performance by troubleshooting issues. Plan for future changes and improvements to the website. Women of NABA Network (WONN): Develop programming focused on our female members to develop them personally and professionally.